Located just down the street from our shop in Red Hook, Brooklyn, Raaka Chocolate produces handcrafted chocolate from fair trade cocoa beans. 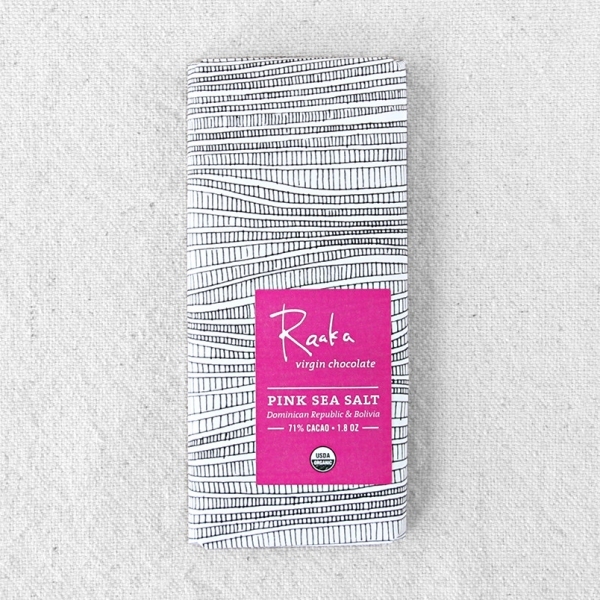 Pink Sea Salt showcases sparkling citrus notes and warm hints of berry; Congo offers deep chocolate flavor and a complex spice finish. Was $8, now 30% off.